The final season of House of Cards is almost here, and Frank Underwood is no longer sitting in the Oval Office. 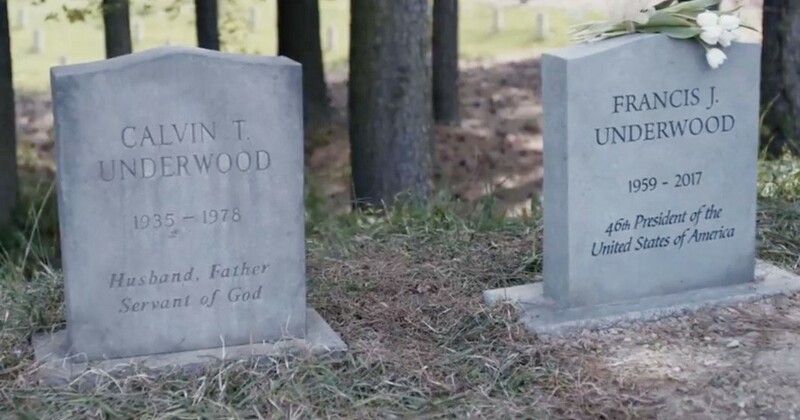 Claire Underwood, played by Robin Wright, will be in charge – and a new sneak peek from the sixth and final season of the show sees her standing over his grave. Kevin Spacey’s character has officially been killed off, marking an unceremonious end to the part played by the man accused of sexual assault and misconduct. Indeed, Frank delivered the same speech when visiting his father’s grave. There’s no clue or hint as of yet as to how he actually dies. Kevin Spacey was fired from the political TV show following claims of assault and misconduct – Spacey is being investigated in the UK for six sexual assault claims over 22 years. One of the cases against the actor and previous Old Vic artistic director has been dropped due to the lapse of time. Actor Anthony Rapp was the first to make an allegation, claiming he was 14 when a 26-year-old Spacey made a sexual move on him in 1986. The final season of House of Cards will include just eight episodes rather than 13 as it has usually done. Wright, speaking with Net-a-Porter, recently said the show came “very, very close” to cancellation “because of the climate at that time”.